For this past Wednesday's makeover, I showed you Jamie's completed evening look. 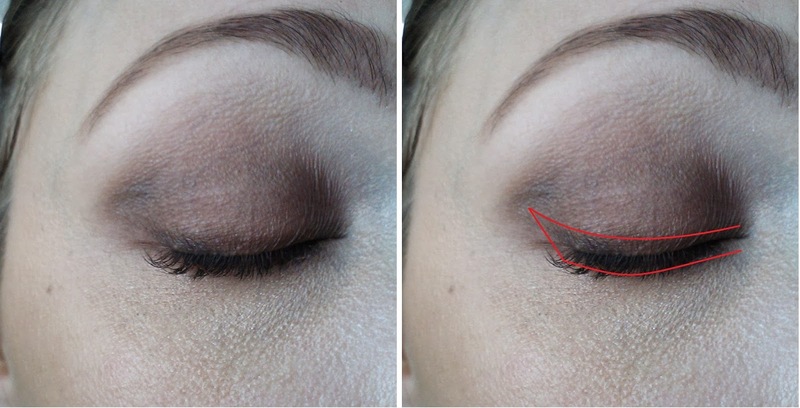 Today, I put together a tutorial to show you how I applied her eye makeup! Just to not be confusing, I'll let you know right now I photographed this tutorial on myself. First, we start with a bare eye. I have already applied the rest of my makeup, including foundation and concealer. 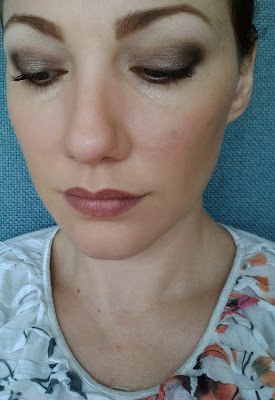 Then, cover the entire lid with eyeshadow primer. Then, from the Stila In The Know palette, apply "air" to browbone, "rain" on lid, and "earth" at outer v, trailing to the outer bottom lash line just a little bit. Blend in the area shown, wiping your brush clean after you blend air and rain, and before you blend rain and earth. You don't want to muddy the colors, just blend the seams. ...and to the top and lower waterline. You're done! 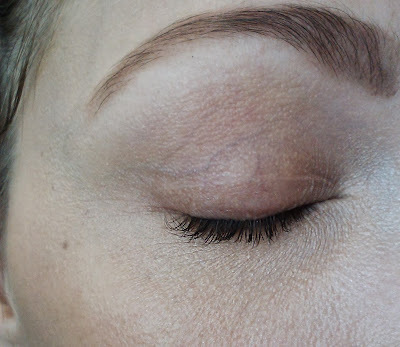 Once you get used to doing this, it takes about 4 minutes to do both eyes. This is a soft and professional look for daytime. It'll make your eyes look huge. 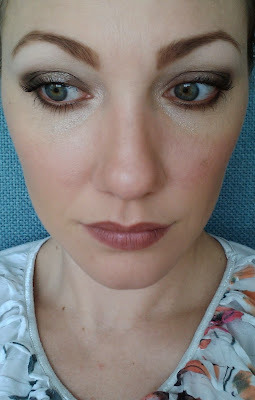 Now for nighttime... From Urban Decay's Naked palette, apply "darkhorse" on outer v and slightly on lower lid outer corner, 'sidecar' on mid-lid in a circle, and "sin" at inner sides of nose. You won't be blending these colors to each other, so blend them in to the eyeshadow that is already on the lid. Adding this color takes about 1 minute for both eyes. What mascara did you use? Love the length it gave you. Hello! I used Wet n Wild Mega Volume in Very Black. 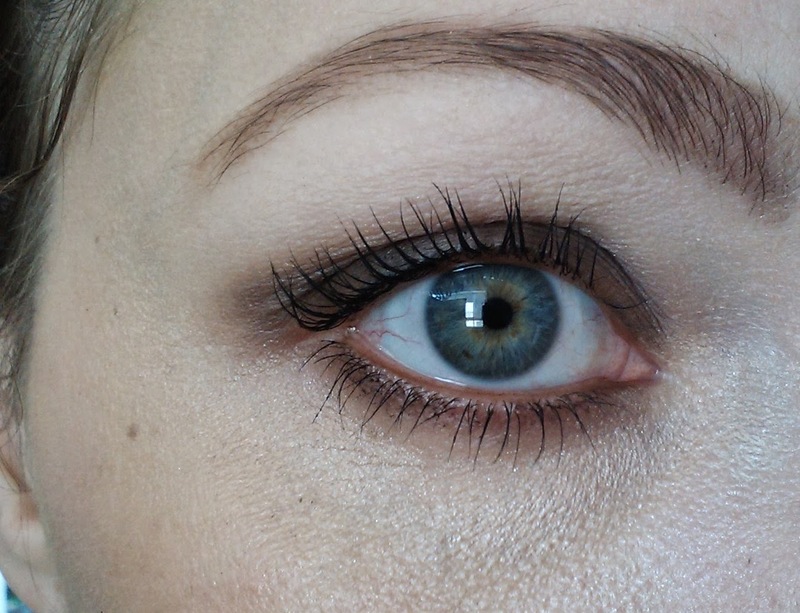 It actually isn't a dramatic mascara, the main effect is due to the tips of my lashes being very pale, so you can't see them unless I'm wearing mascara. For a dramatic mascara, I recommend Jordana Best Lash Extreme Volumizing Mascara. Thanks for stopping by!